Something unusual has happened over the past 3 months. 2 lattes in Waterloo train station. 1 filter coffee from Kings Cross. 1 filter coffee from Euston Road. 1 earl Grey tea from Paddington station. 1 earl grey tea from little Venice near Paddington. 1 earl grey tea from Kingscross station. 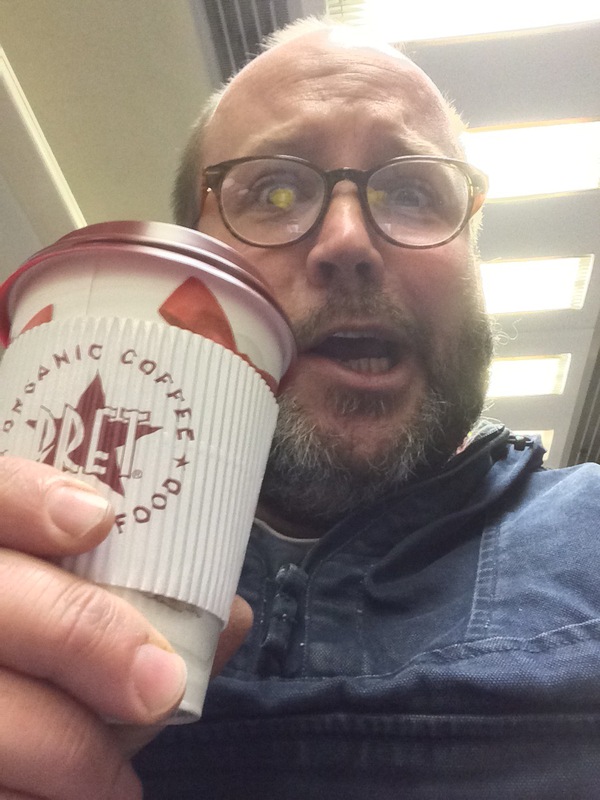 So why do I keep on being offered free drinks from Pret? They are the only large coffee chain to not have some kind of loyalty card but rather the staff are encouraged to give a drink on the house now and again… There’s no policy or code that Pret follow for this practice… It’s down to the discretion of the staff. I either look like someone who really deserves a warming drink. It wouldn’t be the first time my rather unkempt appearance has mistaken me for someone who is homeless. Staff aren’t used to being asked how their day is going and on having someone ask they feel like giving a hot drink to a caring stranger. Or it’s the new jacket. Bizarre theory but I’ve been wearing a new one over the past 3 months over the same period that I’ve recieved free drinks. It was given to me from my friend Glyn Jones who heads up The Light Project in Chester. Glyn is one of the most loving and exhuberant evangelists I have ever met. He oooozes good news and most people he meets catch hold of his infectious love for Jesus. Wearing Glyn’s jacket makes me think about him a great deal and how he engages with strangers he meets. Have I also caught the cheeky Glyn bug of asking everyone how they are doing and how their day is going? Mmmmm, perhaps it’s a mix of all three… But whatever the reason I am very greatful for the free drink, don’t get me wrong, it is such a lovely gesture and to have been given 8 in a row makes me smile!